Knee replacement surgery, or knee arthroplasty, can help relieve pain and restore function in severely diseased knee joints. 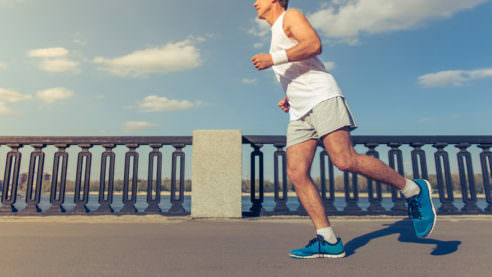 The procedure involves cutting away damaged bone and cartilage from your thighbone, shinbone, and kneecap, and replacing it with an artificial joint made of metal alloys, high-grade plastics, and polymers. The most common reason for knee replacement surgery is to repair joint damage caused by osteoarthritis or rheumatoid arthritis. According to the Agency for Healthcare Research and Quality, more than 600,000 knee replacements are performed each year in the United States. Total knee replacements are among the most successful procedures in all of medicine. Total knee surgeries can be performed either at a hospital, Vadnais Heights Surgery Center or Eagan Surgery Center. You will most likely stay in the hospital or Care Suites for one to three days, depending on what’s needed for your recovery. You will feel some pain after surgery, but your care team will provide medication to keep you as comfortable as possible. Physical therapy is an extremely important part of rehabilitation and usually begins the day after surgery. You’ll be taught specific exercises to strengthen your leg and restore knee movement to allow walking and other normal daily activities. You can generally resume most daily activities four to six weeks after knee replacement surgery. After you’ve recovered, you can enjoy a variety of low-impact activities, such as walking, swimming, golfing, or biking. But higher-impact activities like jogging, skiing, tennis, and sports involving contact or jumping should be avoided until discussed with your doctor.